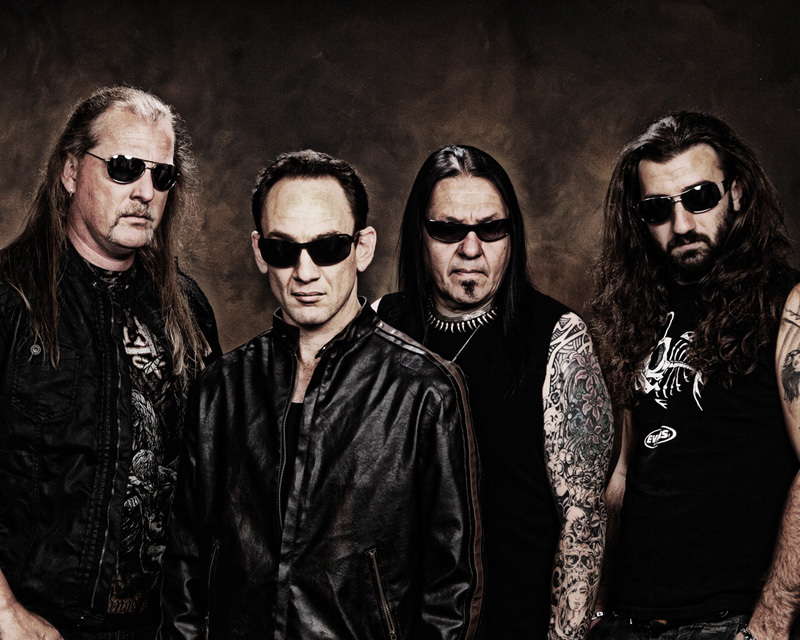 Before famed Bay Area thrash band Imagika succumbed in 2010, guitarist and principal songwriter Steven Rice already had the music in mind for his next band, Kill Ritual. Recruiting a crew from the local metal scene, Kill Ritual launched with 2012's The Serpentine Ritual, and toured the States successfully. Kill Ritual: looking tough enough. Now Kill Ritual offers their follow up, The Eyes of Medusa. If you're familiar with Rice's predecessor, Imagika, this isn't strict, or classic, Bay Area thrash metal, but there are strong hints of it throughout this album. 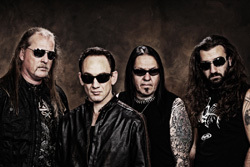 It's more like traditional American heavy/power metal, melodic, of course, but raging and racing nonetheless. Actually, there isn't a single song here that moderates the pace all that much. You have some segues to slower deeper stuff here and there as within Agenda 21 or Writing on the Wall. But mostly Kill Ritual keeps things moving, and quickly. Of course, the centerpiece of the band and the album is clearly the songwriting and guitar work of Rice. From arrangements to riffs to leads, his fingerprints are all over this album. This is not a bad thing as Rice is a terrific guitarist, ripping off some great metal solos. The wild card here is the vocals Josh Gibson, but not because he's not a good metal vocalist. He has an interesting range, a clear mix of hard rock and metal. Yet, he seems to have gotten the short end of the stick in the mix as he often sounds muted or punched down by the rest of the music. Nevertheless, The Eyes of Medusa is still a strong album of authentic American heavy/power metal. 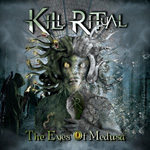 Kill Ritual's The Eyes of Medusa is a strong album of authentic American heavy/power metal powered by Steven Rice's powerful guitar work.